Kids and teens across Canada followed in the footsteps of Swedish activist Greta Thunberg on Friday, walking out of class to protest climate change inaction. Three students tell us why they decided to join the global movement. Kids and teens across Canada followed in the footsteps of Swedish 16-year-old activist Greta Thunberg on Friday, walking out of class to rally against climate change inaction. Their weekly strikes, which are held in front of legislative buildings or in public parks and libraries, follow months of similar actions by students across Europe and Australia. Three young people told Day 6 why they've decided to join the strikes. 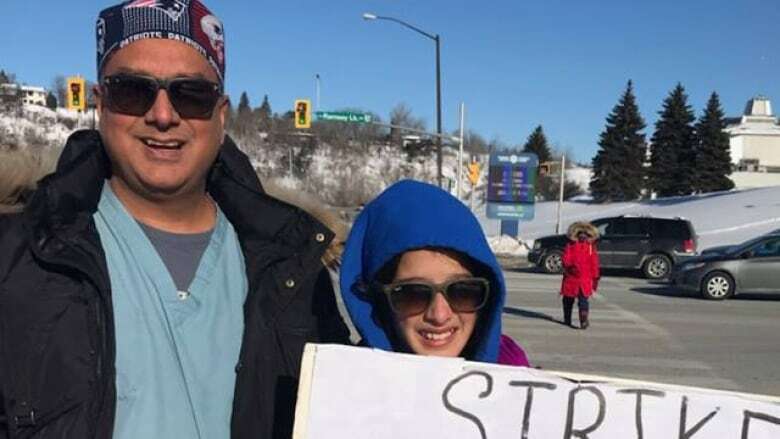 From Fredericton to Vancouver, each is striking one Friday a month in the lead up to a national student strike planned for May 3, 2019. "I'm really scared. Everything just seems so terrible and there is a lot of worry around climate change. The people in charge making decisions — politicians — they are not going to be alive when the worst impacts of this are felt," Hamilton said. 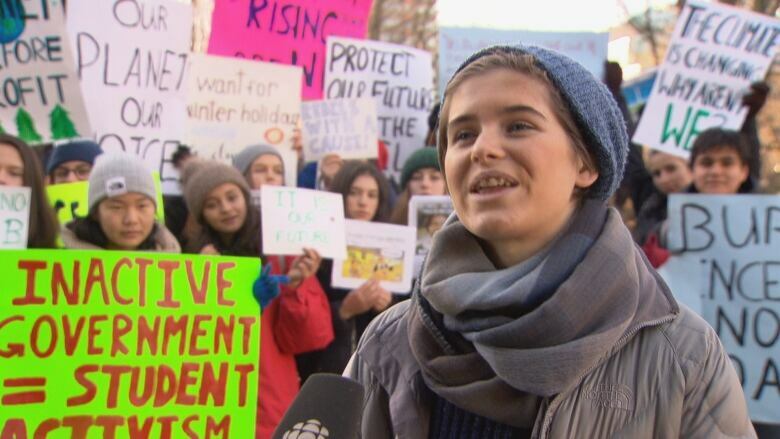 Grade 11 student organizer Rebecca Hamilton pictured at a demonstration in Vancouver. "We're in a time of climate crisis right now, but the world around us isn't acknowledging this reality. That's why I strike from school. We can't vote, but this is what we can do." "During World War II, everybody knew there was a war on. It was the lens through which every individual and government decision was made and I want the climate crisis to be seen with the same level of urgency and addressed with the same level of scale." Sophia Mathur, 11, Sudbury, Ont. "I walk out of school because what's the point of going to school if I won't have a future," Mathur said. "The scariest thing I can think of in the future is probably dying in anything that climate change causes — storms, droughts, heat waves, forest fires starvation." "I want to see adults start cooperating and listening to the experts and whatever they are saying, we have to do because my life, my family's life, everyone's life is at risk." "I'm worried about humanity's fate. Mass migration, crop failures the oceans could just basically die," Deveaux said. "We see the wildfires in the west and the flooding in Fredericton this summer. It's stressing me out a lot. So, I walk out of class because it is so important." "Walking out of class is a very good way to express the severity of the situation and how much I care about it." "The first time that I striked, it was by myself. It was fun. I met a lot of people. 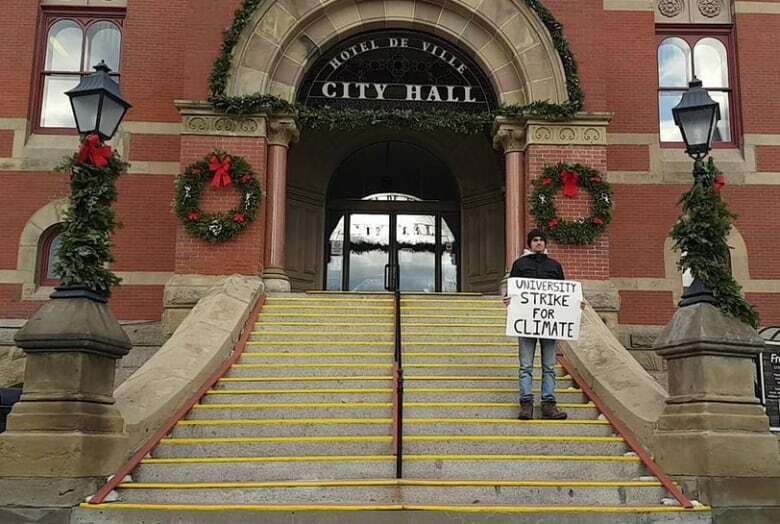 It was just me with a sign, I was standing on the steps of the local city hall in Fredricton. I was alone that first time. But the second time I was with my friends." To hear more, download our podcast or click 'listen' at the top of this page. Huawei was built to withstand international pressure, but can it handle U.S. indictments? FULL EPISODE: Episode 427: McArthur pleads guilty, Quebec tofu shortage, Huawei indictments, youth climate strikes and more.